Arguments for or against God's existence can be intense, complex, and disconcerting; in fact, they often raise more questions than they answer. 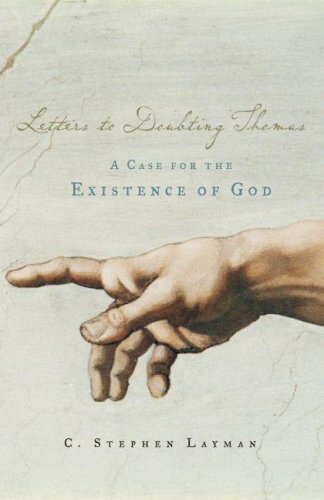 In Letters to Doubting Thomas: A Case for the Existence of God, C. Stephen Layman offers an innovative approach to the debate--a way to organize a seeming multitude of related claims and ideas--bringing clarity to a discussion that is often mired in confusion. Letters to Doubting Thomas explores the evidence for the existence of God through an exchange of fictionalized letters between two characters--Zachary, a philosopher (and believer), and Thomas, a layperson (and doubter) who appeals to Zachary for help in sorting out his own thoughts about God. Point by point, Zachary leads Thomas through a highly readable comparison of Naturalism (the belief that there is no God and that ultimate reality is physical reality) and Theism (the idea that there is an almighty, perfectly good God). Incorporating recent developments in philosophy, each exchange of letters addresses one complex philosophical issue, breaking it down into manageable units. Topics covered include free will, religious experience, the cosmological argument, the fine-tuning design argument, the problem of evil, divine foreknowledge and human freedom, the ontological argument, the divine command theory of ethics, and a moral argument for God's existence. As the dialogue proceeds, Zachary develops a cogent, cumulative case for Theism over Naturalism, while Thomas raises critical questions all along the way. Featuring a unique format and lucid writing style, Letters to Doubting Thomas is ideal for courses in the philosophy of religion and accessible to students with little or no background in philosophy. It is also engaging reading for professors, theologians, and anyone interested in the question of the existence of God.